Прибыл мой товар на myus.com, упаковано очень хорошо и по времени все вовремя.Спасибо! Very happy with my package prepared by Ed, the packing expert. Everything was very neatly folded and arranged, and it all arrived safely - and it always makes my day to receive my packages :) Thank you for your work! While some countries have a de minimis value, below which duty and tax do not apply, Russia does not have a de minimis value. You are responsible for any taxes and duties due for the purchases in your shipment. These fees are typically due upon delivery and are not included in your MyUS membership or shipping fees. To help you avoid any unnecessary duty or tax charges, we will notify you of any damaged merchandise in your purchases. MyUS will not ship these items, so you will not incur shipping charges, taxes or duties. How Fast Will My Package Be Delivered? As a member you have unlimited access to our database of available shipping methods. Whether you’re looking for the fastest transit times or a cheaper method, you will find the delivery method you need. Currently, USPS is the only carrier shipping to Russia and they do not allow "dangerous goods" or oversized packages. If your shipment is considered an "oversized package", MyUS may split your shipment into two or more shipments to fit within the limitations. If we cannot split your shipment, we will notify you immediately. If you have questions about banned merchandise, or how to ship restricted goods, contact the MyUS customer service department. We are on hand to assist you in securing the best ways to deliver your merchandise quickly and hassle-free. We repackage and consolidate your purchases, then reship them to you. We've been satisfying global customers with our shipping expertise since 1997. Join today and become the next happy shopper who receives fast, affordable international shipping. MyUS strives to deliver your merchandise in as little time as possible. To ensure quick delivery, be sure to select an express shipping method, and you will receive your goods as fast as possible. While we work to deliver your packages as quickly as possible, we cannot control delays due to weather, work stoppages or any outside circumstances. Where does MyUS Ship Packages to Russia? Chances are, we can ship American products to you no matter where you live in the world. Join the international shipping revolution today! Shop American stores for the items you desire, like jeans, Macbooks, watches, TVs, designer clothing and suits, makeup, video games and consoles, and iPhones. This is not a complete list by any means--with MyUS, you can shop thousands of US stores with no hassle. Join today! How Much Does it Cost to Ship Packages from the US to Russia? Join MyUS, and start shopping your favorite US stores for products you can’t find anywhere else, without worrying about international shipping hassles. We do all the work, so you can enjoy your merchandise sooner. 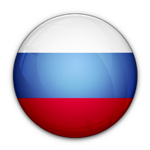 Ready to start shopping for US goods and having them shipped to Russia? Sign up for a MyUS membership today and shop with confidence. Use our calculator to determine the cost of shipping from the U.S. to Russia. Tip: If you're interested in US to RU currency conversion rates, use our free exchange rate calculator. How Long Does it take to Ship Merchandise from the USA to Russia? On average, most MyUS shipments will arrive to your Russian location within 2 to 8 days from the time they leave our Sarasota, FL USA facility. Express shipping to Russia from the US generally arrives in 2 to 4 business days, while standard or economy deliveries will arrive in 5 to 8 business days. MyUS reviews all received purchases for possible restricted or barred merchandise, so your items are not stopped at Russian customs. We will notify you if we are unable to ship your package, and will help you return the item to a US store. MyUS delivery times may be impacted by hard-to-reach locations, prohibitive weather, political issues and delays incurred at your local Customs office. Please visit our FAQ page for additional information on issues that could affect transit times when shipping to Russia. MyUS uses DHL, UPS or FedEx Express for Express Shipping. Freight shipping is handled via FedEx Freight. Economy shipping is through FedEx Economy or USPS.